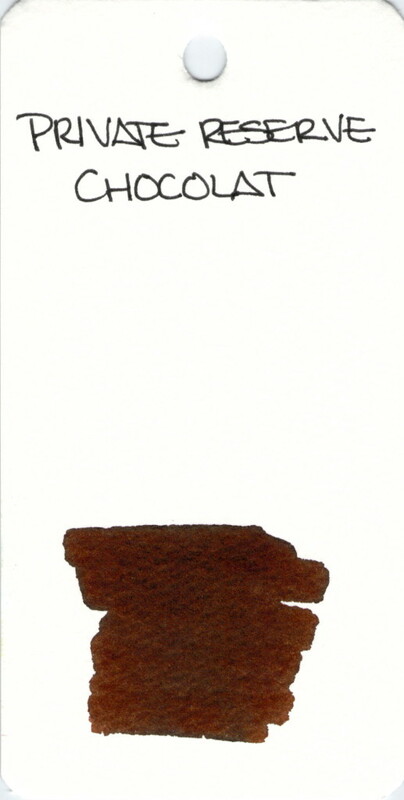 A nice brown with a bit of red, Private Reserve Chocolat is an ink that I reviewed way back in 2013. Even though I said at the time that I would be putting it into heavy use, I don’t think I’ve had it in a pen since. Maybe it’s time to give it another go. 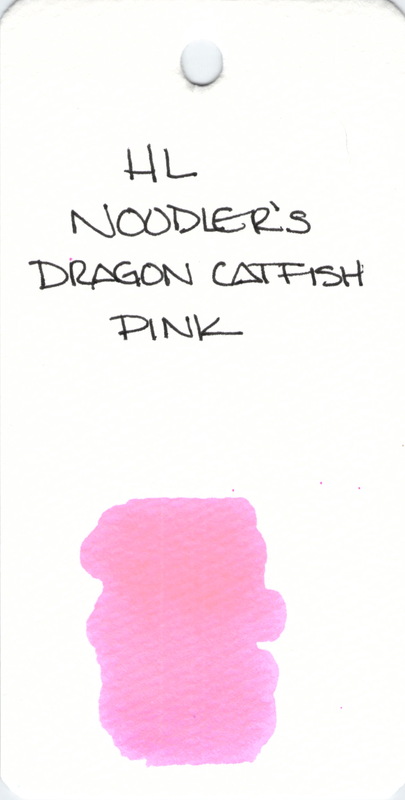 Noodler’s Dragon Catfish Pink was created to be used as a highlighting ink. 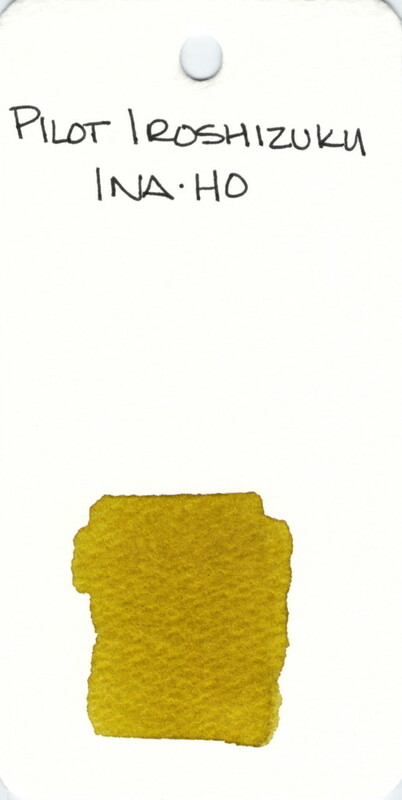 Because I’ve had some of these specialty inks turn to goo in the sample bottle, I would not put them in a fountain pen. I use these inks in Preppy Refillable Highlighters – I also buy the converter because it seems to keep things a little more simple for me. Honestly, I’m not sure I’d buy it again because there are so many wonderful highlighting pens out there already. Waterman inks don’t get a lot of attention. I find the colors (including this one) to be classic and the performance to be fine. In other words, Waterman inks are nice, but nothing fancy. One of my newer ink samples, I’ve not yet tried this beautiful deep blue. 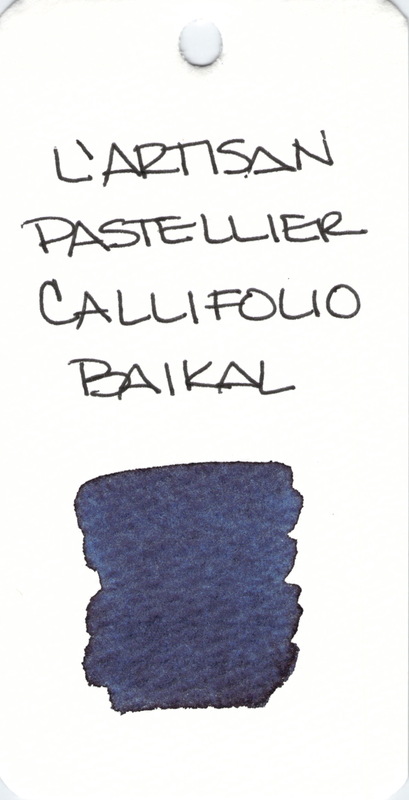 Do you have experience with L’Artisan Pastellier inks? You can get full-sized bottle from Vanness Pens. I’m a very satisfied customer of Vanness Pens. I’m not compensated to mention them or their products. Even if I was, though, I’d still give you my honest opinions. 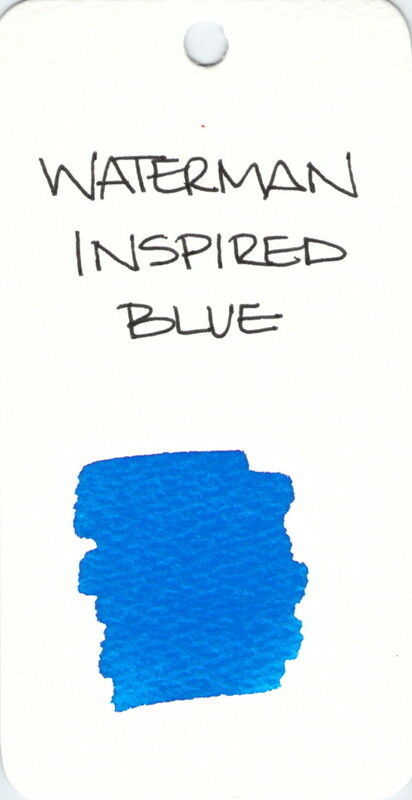 Pilot Iroshizuku is a brand of ink that I love – perhaps my favorite brand. Are you brand-loyal when it comes to ink? 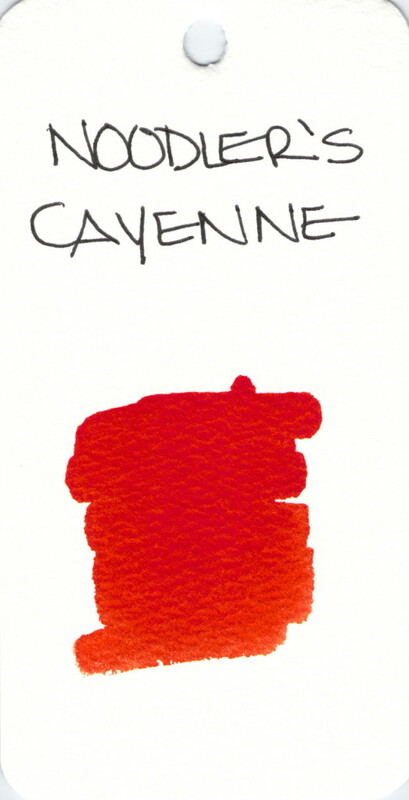 Noodler’s Cayenne is a wonderfully rich reddish orange. Lots of potential for shading, too. Have you tried this one? If not, you may want to try a sample of it. 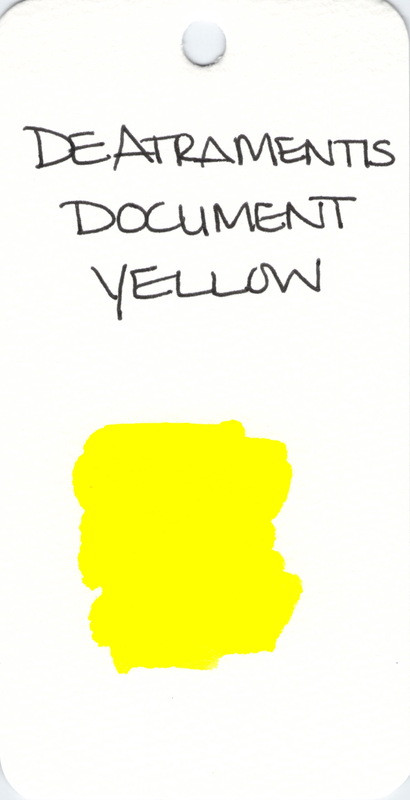 Oh, how I love yellow inks. This one would be good for highlighting, but not much else as it’s not very readable in most circumstances. 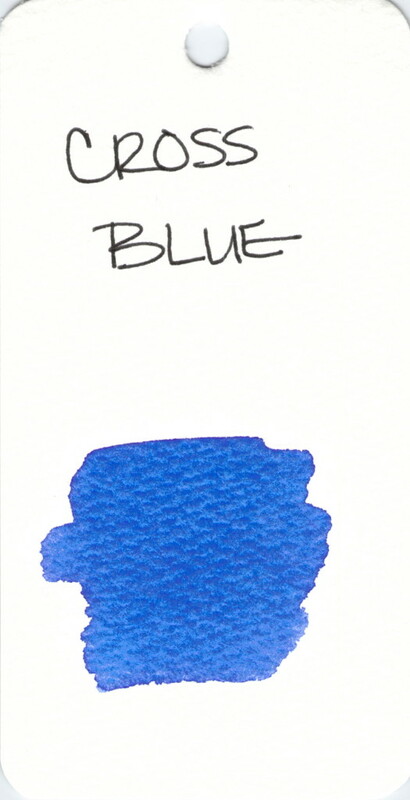 A rather nondescript, but well-performing blue ink from Cross. Seems like I have a huge number of black ink samples that I’ve not tried. 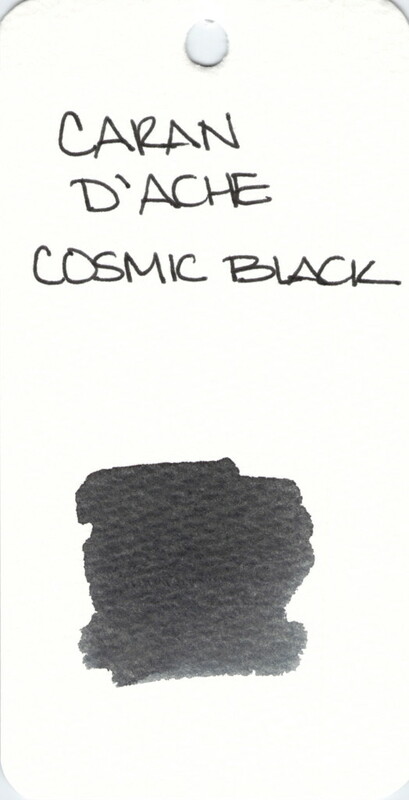 I find it difficult to get too excited about black inks. Do you have a favorite black? 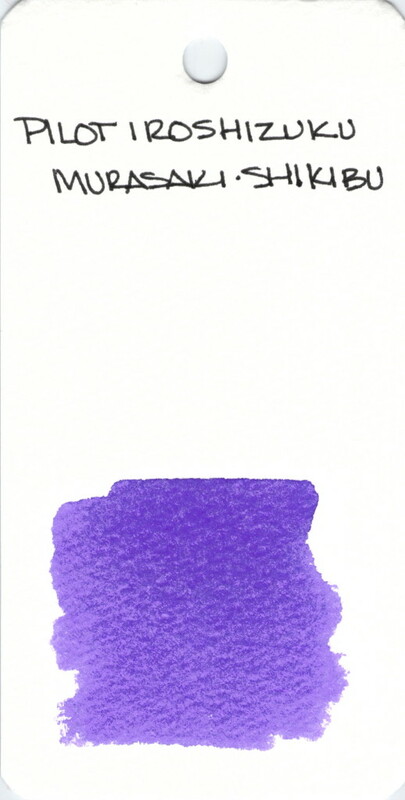 After trying the sample of Pilot Iroshizuku’s Murasaki-Shikibu, I knew I had to have more more more. Good potential for shading, not super-saturated, writes very well. The most common complaint I see about Murasaki-Shikibu is the level of saturation. If you are looking for a rich deep purple, you might like Noodler’s Purple instead.